As some of you may know, I'm a little domestically challenged in the kitchen. It's probably more Frenchie's home turf - the kitchen, more than mine. When we first moved in together, I confided in a friend who had lived in Paris before about my feelings of incompetence when it came to my culinary abilities. Don't get me wrong I'm fantastic at appreciating, tasting, savouring and trying literally everything and anything on offer (including oyster hot chocolates and blue cheese espressos). But Frenchie is just more apt at the whole process of creating these finished products. 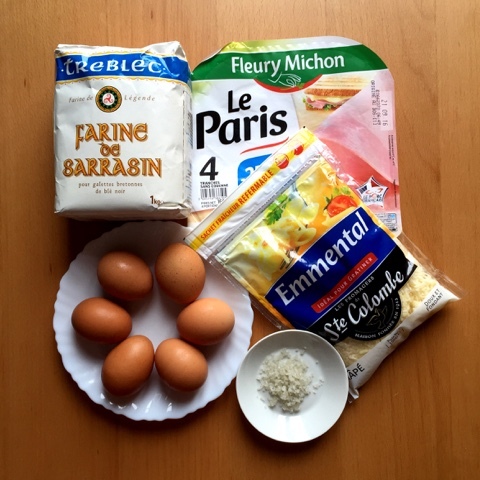 Which is why you've probably seen a lack of French cooking posts on my blog, EXCEPT for those recipes that I personally deem foolproof/super easy..! 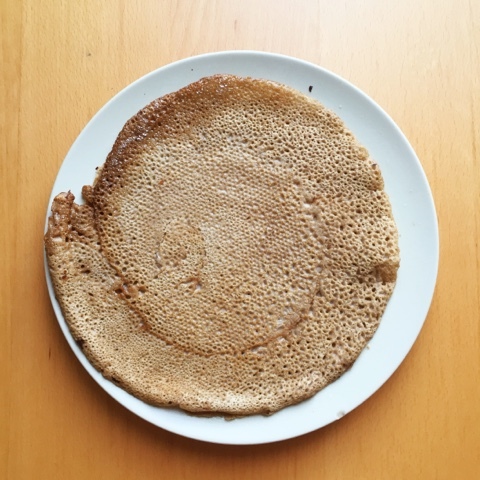 This Buckwheat Crêpe Recipe is one of them (and also gluten free for those interested). 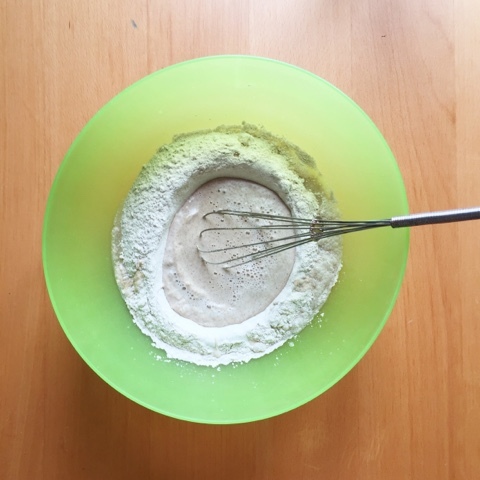 Measure out 500g of buckwheat flour into a large mixing bowl. 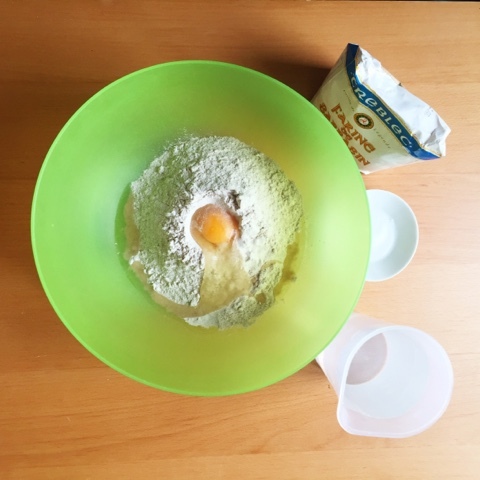 Dig a little hole at the top and crack an egg into the hole. Add salt then start to whisk the mixture as you add the water little by little. Make sure the mixture gets aerated during whisking, there should be lots of bubbles. Put aside mixture for at least two hours to rest. Add some more water if the mixture thickens after rest. 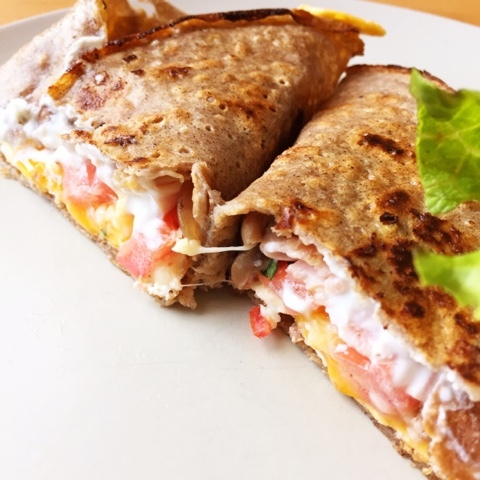 The mixture shouldn't be too thick, it should be the consistency of a crêpe mixture. Lightly butter the crêpe pan and gently pour the galette mixture into the pan. It should be thin and crispy and bubbly with lots of little holes! Make your 6 galettes one after another and put them aside. 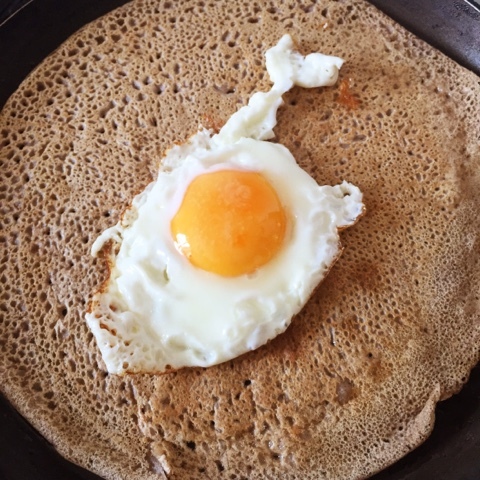 Pop a galette back onto the crêpe pan on gentle heat. What we do here is lightly pre-fry an egg before transferring it to the galette on the crêpe pan. 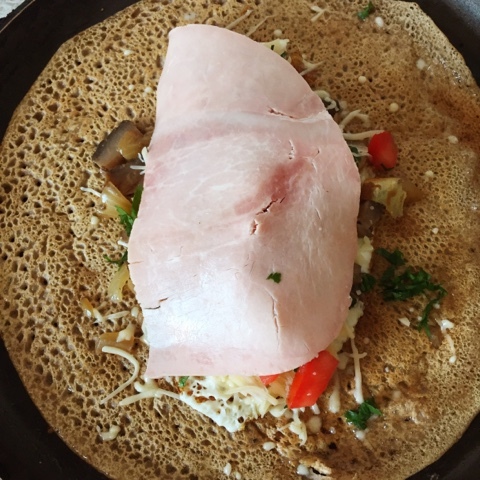 Add remaining ingredients (sautéed mushrooms with onion and parsley, diced tomatoes, emmental cheese to melt) then the dollop of crème fraîche and ham before gently closing up the galette so that the outside becomes a little crispy while the inside melts together. Remove from the crêpe pan and serve with some lettuce on the side.